The Government ‘Vision’ for Education : where are we now ? If you were in any doubt about how complex and opaque the education system in England has become, a new report by MPs has outlined it in no uncertain terms. The report by the House of Commons education select committee into Regional Schools Commissioners (RSCs) raises a number of concerns about the role and function of the people charged with overseeing the growing number of academy schools in England. The report questions the role and function of England’s eight RSCs and the whole area of democratic accountability in education, particularly in light of proposals to expand the academies programme contained in the Education and Adoption bill making its way through parliament. Combined with reports that over 500,000 primary school children are now being taught in super-size classes and that we are facing a chronic shortage of teachers, the whole area of the government’s strategic planning in education is called into question. As parliament’s public accounts committee pointed out in January 2015: “The DfE [Department for Education] presides over a complex and confused system of external oversight.” This confused system is made up of state schools that continue to be maintained by Local Education Authorities (LEAs), as well as academies and free schools, which are free from LEA control. RSCs were introduced as “a pragmatic approach to academy oversight”, a sticking plaster over what has become such a convoluted form of accountability that not even those working in schools can understand it – not to mention parents. According to PTA UK, a charity that helps parent-teacher associations, just one in ten parents know what role RSCs play in their child’s education, leading to confusion when it comes to deciding where and who should address any problems. Effective strategic planning is recognised as one of the cornerstones of effective public services, as a number of research projects have highlighted. Yet as the boundaries between public and private become increasingly blurred, this planning becomes ever more complex. Reforms of the English school system that have intensified since 2010 have produced a hybrid system of accountability in which numerous bodies compete and collaborate to provide educational governance. These reforms have also led to a serious planning deficit in terms of school places. This lack of strategic foresight is all the more concerning given that none of these issues have come out of the blue. 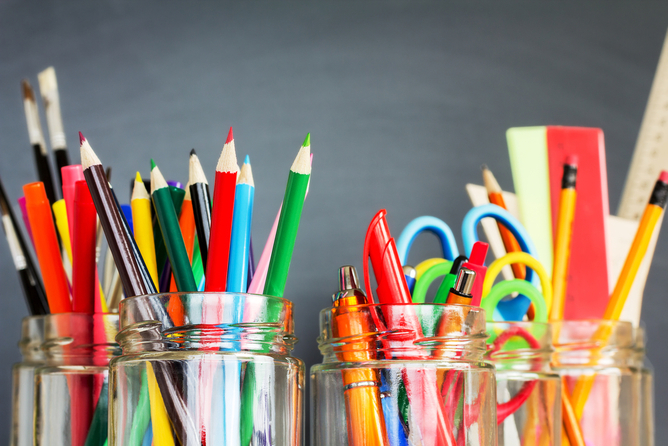 Researchers have been predicting a teacher shortage for some time now, and the number of children entering reception classes has been rising in relation to population over a number of years. The ability to plan locally has been severely compromised by the undermining of resource and statutory powers of local authorities, not least in the areas of school planning. This led the Local Government Association (LGA) to urge the government to expand academy schools to meet demand for school places, or else to give back powers to councils to open new state-maintained schools, something they currently are not permitted to do. The government response to the places shortfall has largely been to advocate the opening of new free schools. The prime minister, David Cameron speaking in March 2015, committed his party to providing another 270,000 school places in free schools, if re-elected, by 2020. Since 2010, free schools have taken a disproportionate amount of funding compared to state-maintained schools. But they have also compounded the places problem by opening in areas where there is already a surplus of places. And even when they do open in areas of need, they often don’t immediately operate at full capacity, but admit just one year group and build up to a full complement of pupils over a number of years. A survey by the LGA published in August 2014 found councils had spent more than £1 billion in attempting to make up the shortfall. This was based on data which revealed that 66 of the 152 council areas with responsibility for schools would have more primary-age pupils than places for them in 2016-17, rising to 85 areas in 2017-18 and 94 areas in 2018-19. The government response to the accountability gap – which has already led to issues such as the Trojan Horse affair in Birmingham – has been to implement the system of regional commissioners. But as the education committee’s new report points out, the flaws inherent within the reach and remit of the role are wide-ranging, affecting crucial areas of safeguarding, inspection, school improvement, democratic accountability and variation in standards between regions. The committee also points out that conflicts of interest need to be addressed far more cohesively, along with the thorny issue of who exactly holds these increasingly powerful individuals to account. The Education and Adoption bill stands to place further pressure on what education scholar Martin Lawn describes as a “systemless system” of education. This is one in which strategic planning is almost impossible given the number and overlapping remit of organisations involved in the governance of English education. I think we are reaching a point where we need a new settlement. We have not had a settlement that has been national, clear and comprehensive since the 1944 [Education] Act … there has been a progressive erosion of some people’s roles, development of new roles, changes to the key functions of key actors in the system the landscape has changed hugely I think we just need to have a fresh look. The government assures us that it does have a vision for education: “A world class education system in which all schools are academised. Yet it is becoming harder and harder to buy into this “vision” when viewed through the prism of the issues that currently beset education in England. No doubt the parents of those pupils being taught in a portacabin by the fifth supply teacher in as many weeks, and who have little idea as to where to address complaints, may have problems buying into that “vision” too. Author Dr Jacqueline BaxterPosted on January 28, 2016 Categories Blog, UncategorizedTags academies, Accountability, education, education policy, public policy, public service inspection, public services, school governance, The Open UniversityLeave a comment on The Government ‘Vision’ for Education : where are we now ? ‘Back in the mid-2000s, the criteria for achieving an outstanding lesson were lengthy but specific. Included were things such as: using technology, varying activities, developing positive relationships. The array of requirements was overwhelming. Sometimes the job of teaching involved being a ringmaster of an elaborate circus of activities. Concerns then arose that this frenetic effort was not translating into outcomes. Ofsted therefore split the criteria, offering a grade for teaching and one for student learning. But this led to its own problems. Schools told teachers they must prove student learning was continually happening. In some classrooms, teachers were pressurised into having students mark their work every 20 minutes to show how they were progressing. 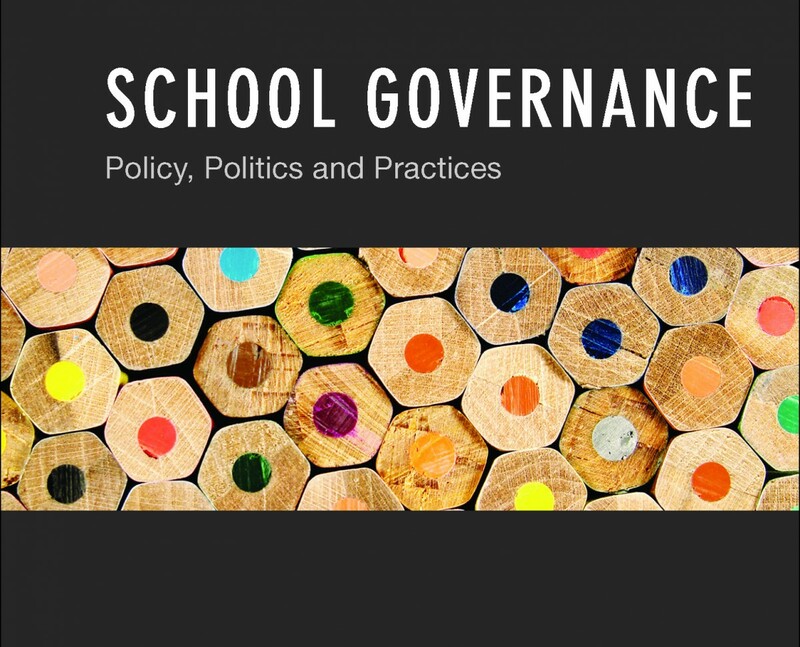 For the last 2 years I have been working alongside colleagues from The Open University, The University of Edinburgh, Oxford University, the University of Mid Sweden and Umea University on an ESRC project called: Governing by inspection: http://jozga.co.uk/GBI/. Working on the project has been a fascinating journey into the workings of the inspection and the ways in which it is used to govern systems of education during particularly turbulent times (Ozga, Baxter, Clarke, Grek, & Lawn, 2013) The article above caught my eye for two reasons: firstly due to the sense of confusion about what the agency expects of teachers and secondly because of this in relation to the new inspection Framework (Ofsted, 2012). Successive reports into the role and purpose of Ofsted pointed to the agency’s so called tick box approach to inspection;(Parliament, 2011). The previous framework had some 28 judgements and sub-judgements which in the new framework have been reduced to just four. This in theory should make life easier all round, but the challenges of ensuring consistency of approach, a core element in any public service inspection regime (see Boyne, Day, & Walker, 2002), have traditionally been a bone of contention with both public and profession. The system has been in existence for 20 years and as Abrams so rightly stated ,’ Try asking serious questions about the contemporary world and see if you can do without historical answers, (Abrams,1982: 1). But the history of the agency is not confined purely to its own procedures and evolution but equally to the massive industry which has grown up around it. Books offering guidance as to ‘The Perfect Ofsted Inspection’ or the Perfect Ofsed lesson (Beere, 2011; Beere, 2012), offer myriad suggestions as to how to proceed during an inspection. Training courses advertise how to convey their school in the best light during an inspection and recently governors too have been targeted by the multi-million pound industry which rides on the back of inspection. That is not to say that such material is not constructive: some of the courses I attended both as a teacher and later as a researcher were often well run and very informative, offering practical tips and hints on many aspects of teaching and learning. But in general it was the Ofsted label that sold them; it was the thought of being able to get a 1 that got most of the participants through the door. Ofsted is more than an inspection agency, it’s a brand, and one that is instantly recognisable to some 42% of the English population (Baxter, 2013; Baxter & Clarke, 2013), that is without considering its international reach. 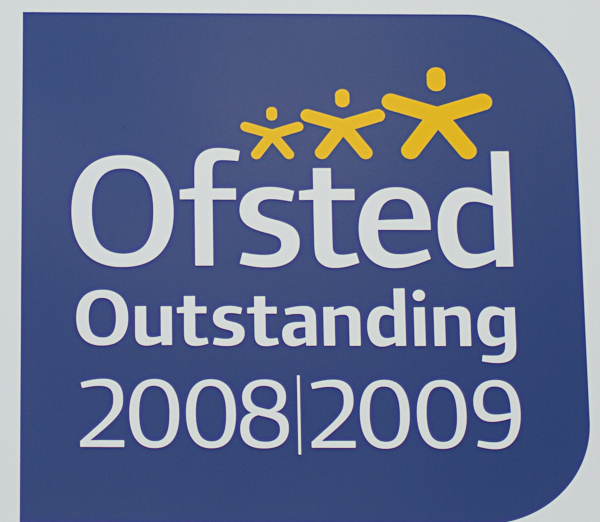 You only have to trot around your locale to see that now famous sign ‘Ofsted Outsanding,’. But at what cost to its primary purpose as ‘The parent’s friend’ as John Major put it in his speech to the Centre for Policy Studies (Major, 1991) ? Has the brand overtaken the machine ? Much of the strength of an Ofsed Inspection Framework lies in the ways in which it is interpreted: by both professionals and lay people and while there is confusion around whether the perfect lesson is the same as the perfect Ofsted lesson its purpose as an instrument by which to govern education may well be compromised. Baxter, J., & Clarke, J. (2013). Farewell to the Tickbox Inspector ?Ofsted and the changing regime of school inspection in England. Forthcoming Oxford Review of Education 39(5). Boyne, G., Day, P., & Walker, R. (2002). The evaluation of public service inspection: A theoretical framework. Urban Studies, 39(7), 1197. Major, J. (1991). Education: all our futures Paper presented at the Centre for Policy Studies London. Parliament. (2011). The role and performance of Ofsted London: The House of Commons Education Committee.